The last updated time is displayed in the status bar at the top of the status page. 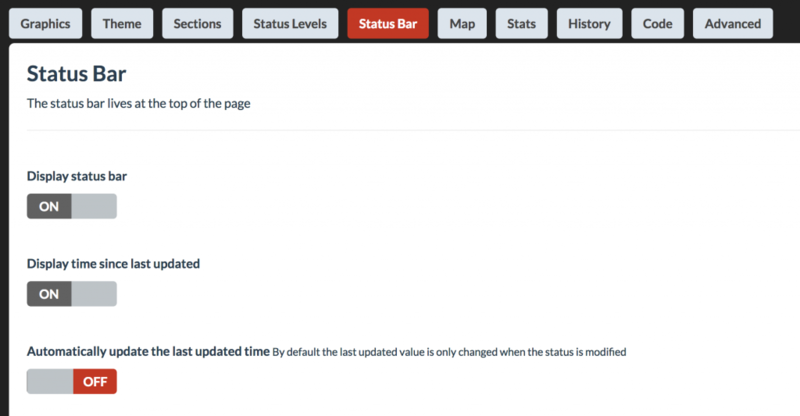 Be default the last updated time is only updated when a change is made to the status page. Optionally turn on the setting Automatically update the last update time to force the last updated time to always show that the page was updated within the past minute. This is useful for some status pages that are considered updated when the status has not changed. Toggle the setting in the Dashboard from the Design/Status Bar tab.